This post was written by Aaron’s wife several years ago. Given that spring planting is upon us, we thought it may be a good time repost. I purchased at least five or six different varieties. Annuals usually come in “6 packs”, i.e. six flowers in one pack. Save the plastic containers for next January’s post about starting seeds on the thrift! I selected plants that would complement one another in color, height, as well as sun exposure. 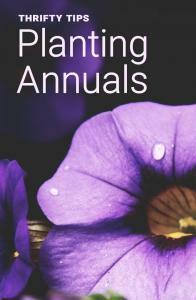 An example would be planting purple salvia with some purple/white petunias. 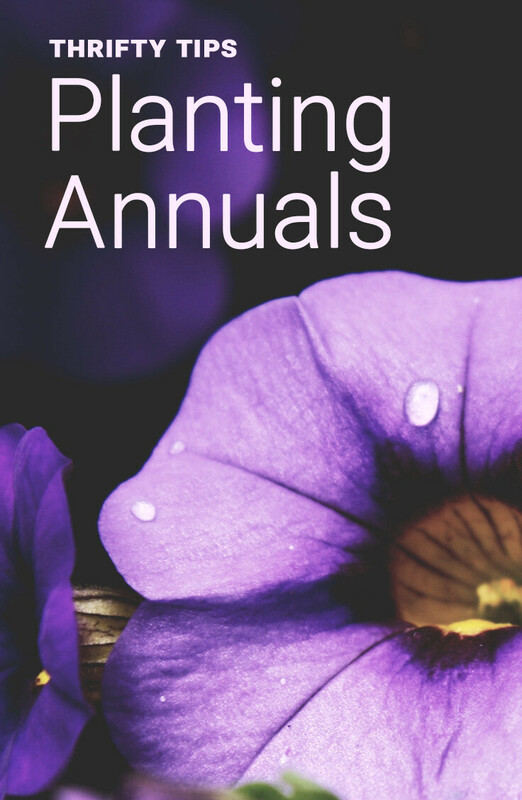 This year I spent $1.88 on each pack of annuals. These typically are sold singly. I found some spikes and asparagus ferns that were on sale for $2 each. I also found a six pack of the dusty miller variety for $1.88. I like the brand that has the “moisture control” beads and fertilizer. It is a tad more costly, but it saves time and energy when watering. I am not a “master” gardener, but I reused “old” soil with the “new” soil. I don’t know what this does to the pH of the soil, but the plants don’t seem to mind. Aesthetically pleasing AND thrifty is the best choice! I look for pots at garage sales and thrift stores. I have even found some nice discards in the alleys of Uptown in Minneapolis. On the farm, my Scandinavian Grandmother used toilets and tractor tires for her colorful masterpieces. I doubt my neighbors would appreciate a toilet full of impatiens in my yard. Beware of bugs! Make sure to wash out your pots that you reuse every year, tossing the old soil if it was infested. I gathered my tools, rarely used gloves, soil, pots and annuals together. I arranged the plants in a harmonious fashion. There is no right or wrong here. Just make sure there is enough room to spare for new growth, and you like how it looks.